Originally an Afghan dish, Quobuli Pulao is a rice dish that goes well with a variety of Indian curries and dishes. This recipe involves layering rice with fragrant chickpea masala. This recipe was first published in Flavours magazine. Wash and soak rice for 30 minutes. Boil soaked rice in water and salt till 3/4 cooked. Drain water. Heat ghee in a pan and sauté cumin seeds, onions until brown. Add ginger garlic paste, chilli powder and cook until fragrant. In the same pan, stir in all ingredients except rice, fried onions, mint and saffron. Cook until the gravy is thick and season as desired. Spread half the rice on a dish with a lid. 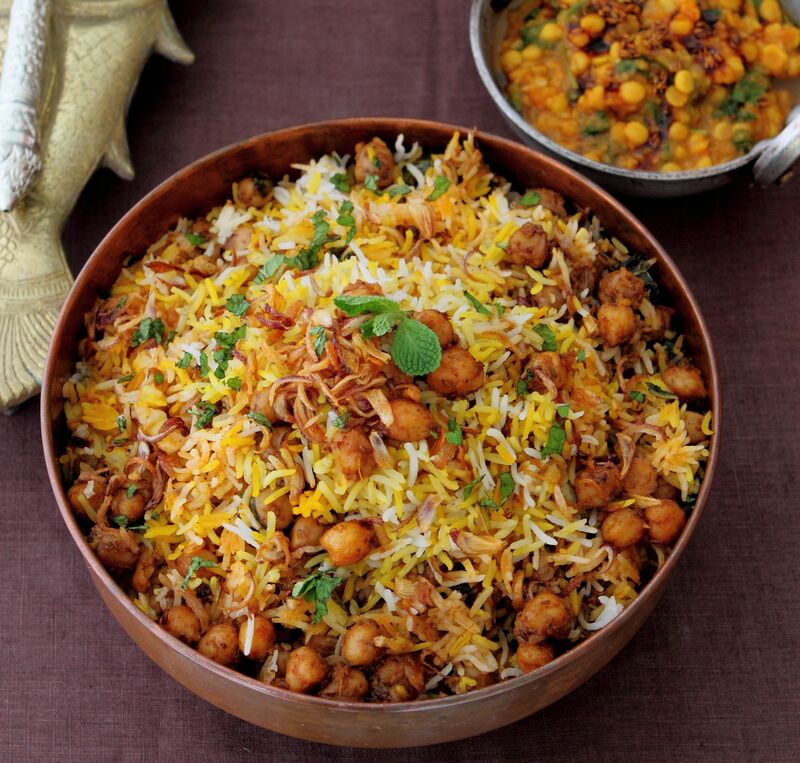 Layer with chickpea masala, some fried onions and mint and cover with remaining rice. Sprinkle with milk-soaked saffron. Cook in a preheated oven for 15 to 20 minutes or in the microwave for 10 minutes on medium. Mix the dish gently, garnish with more fried onions and mint. Serve. I will try this dish. Let’s my children comment the taste of the dish. I’ve always cook rice in a rice cooker. So what does 3/4 cooked rice look like? How long do I need to boil the rice to get to 3/4 cooked? How to make chickpea masalah? Can the chickpeas cook and soft so fast? Tried and adopted….It was very nice!